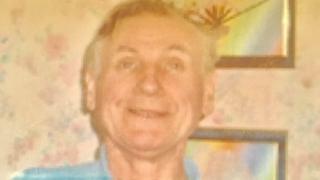 Concern is growing for an elderly man missing on Raasay, police have said. Alistair Lovie, 72, who has dementia, was last seen walking at a disused mine north of Inverarish at about 11:00 on Sunday. Officers believe he may have lost his way and have appealed for help from anyone who may have seen him. Mr Lovie is 5ft 10in tall, of medium build, with brown hair and blue eyes. He was wearing a black jacket, jeans, a black cap, blue shirt and red jumper. Police, Stornoway Coastguard helicopter, HM Coastguard and fire service volunteers, Skye Mountain Rescue Team and Search and Rescue Dog Association team have been involved in the search effort. Portree lifeboat volunteers have also been involved.